New HTC One Remix headed to Verizon? Besides the One M8 Ace, One M8 Prime and One mini 2 (all unannounced at the moment), HTC seems to have yet another new smartphone that could be released later this year. The Taiwanese company recently filed a trademark application with the USPTO for the name “HTC One Remix.” According to @evleaks, this is a handset that should be launched by Verizon in the US. Unfortunately, for now that’s all we know about the device. There’s no way of telling if this is a completely new handset, or just a variation of the original One M8 - like the HTC One M8 Harman Kardon Edition that was recently introduced by Sprint. Also, we don’t know if this will be sold only in the US or not. 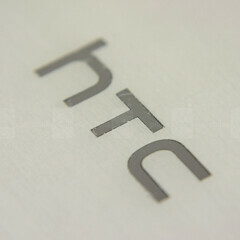 The name of the HTC One Remix suggests that it has something to do with music, but we just can’t be sure of that yet. Anyway, we hope HTC will shed some light on this soon. Definitely agree. Even without an official announcement, that teaser video and the leaked pics alone tell me that it will be in the top 5 phones of the year. So what version is this? One M8-Four, One M8-five or something? Good grief model spam. Sigh. HTC is the epitome of "almost brilliant". Instead of working 24x7 and fixing the camera, HTC is making gimmick models. HTC would be the darling media story if they worked hard and put in the Sony 13MP OIS camera/sensor and released a new One M8. Even more so if they made a factory upgrade program so original M8 buyers could upgrade to the new camera for some reasonable cost. They don't have the wallet to release so many half baked ideas like SS. I wonder how much faster this puts them in the hole. It has to be a logistics nightmare to juggle fifteen models of the same thing, with carrier deals an exclusives an such. They're throwing money away with the shot gun approach. LG seems to be one of a special few that focus on one at a time. They should copy them, build it great, then sell it, not build this, then that an hope market over looks first runs an half baked goods. HTC-Has To Copy. I will admit, I like the LG G3's design, the back buttons really clean up the sides and give it a clean minimalist look. If it is made of metal, and the UI is as pretty as the hardware, they could have a winner on their hands. Agree LG and Samsung use cheap rubbish plastic . Cheap tacky squeeky, while HTC Sony are premium . "The name of the HTC One Remix suggests that it has something to do with music, but we just can’t be sure of that yet." Probably competition to Sprint's Harman Kardon edition of the One (2014). The only thing that I am waiting on is the M8 Prime!! This will be the best android of the year, minus the regular M8. Has anyone ever thought that HTC knows that their 4mp ultra pixel camera is garbage, and not what they expected it to be. Maybe they they have a contract with the supplier forcing them to use that specific camera in their flagship phones. Think about it, the M8 mini will have a 13mp, and the desire serious is supposed to have an 18mp camera. They aren't putting better cameras in only the midrange phones for no reason! So you think it is some nefarious supplier who wants to force one of their customers, HTC, out of business, by making them put a crappy 4MP camera in their flagship phone? Or maybe it is just a dumb HTC marketing executive who saw HTC still had a warehouse full of 4MP cameras and decided to save a few bucks? "We fooled them the first time with UltraPixel. We will add a second lame camera to make things look different, and I am sure we can fool them again!". Perhaps even an executive who has now been fired?